5" Figure in Prayer with Lapis bead. The wire is the bronze, 18 gauge. Great for hanging from your favorite potted plant, or in a entryway. 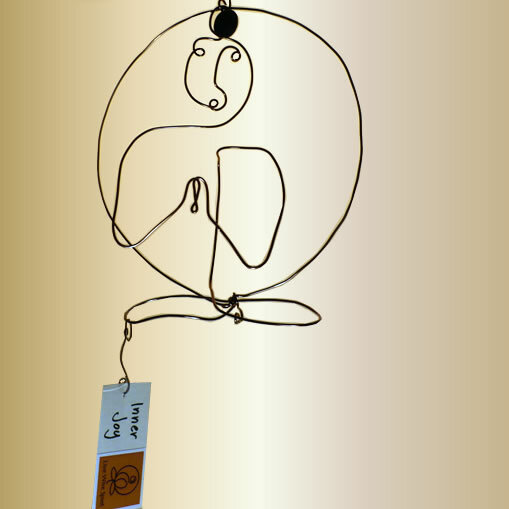 Each figure has its own unique name / blessing tag attached with removable wire: Inner Joy.